BBC’s Poldark wraps filming on its final season, having based production in the UK’s South West since 2015. Winston Graham’s set of Poldark novels, from which the series is adapted takes place between Cornwall and London. From its base at Bristol’s Bottle Yard Studios, the production has undertaken extensive location filming across Cornwall, Bristol and Wiltshire. The fifth and final series began principal production at the beginning of September, on location in Cornwall before moving to shoot interiors at the Bristol studios. Cornwall’s dramatic landscapes were widely utilised to create the atmospheric landscape of Poldark. 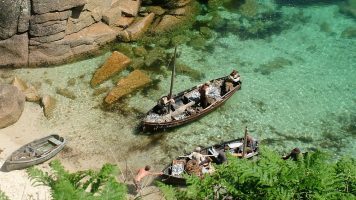 From beaches and fishing coves to windswept headlands, the series has shown the cinematic potential of the UK’s South West peninsula, and had a demonstrable effect upon international tourism to the area. Charlestown harbour, Bodmin Moor and The Lizard are some of the locations to repeatedly feature in the series. 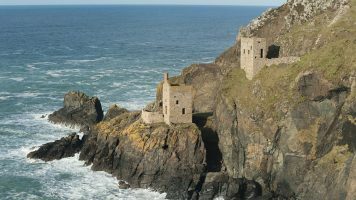 National Trust properties on the tin coast including the preserved Levant Mine and an old engine house also provide authentic industrial settings for the series. Production then moved to film interiors and additional scenes at Bristol’s Bottle Yard Studios. The studio has been the base of the production since inception of the series and now has eighteen sets constructed for the show across three separate studios. Interiors including Poldark’s ‘Nampara’ home in Cornwall, and the family’s London town house are filmed here. For the fourth series, a period-correct replica of the House of Commons was created. Instead of faithfully adapting one of the novels, the upcoming series will focus on the seventeen-year gap where series four ended, and the next book begins. Writer Debbie Horsfield explains “Winston Graham made many references to developments that happened in the ‘gap’ years. Much can also be inferred. There are, of course, also historical events and people of the time, both in Cornwall and in London. Series five will draw on all of these to follow the lives of the Poldarks, George Warleggan, the Enyses, and the Carnes in this intervening period”. Andrew Graham, son of Poldark author Winston Graham and series consultant on behalf of the Winston Graham Estate, says: “No-one can know what my father would have felt about the forthcoming series, let alone what he might have written. However, Debbie Horsfield has demonstrated such an extraordinary affinity with his work and shown such remarkable skill in bringing his Poldark characters to the screen that we know we are in safe hands. Indeed, without her, the Estate would not have agreed to series five in this form”. 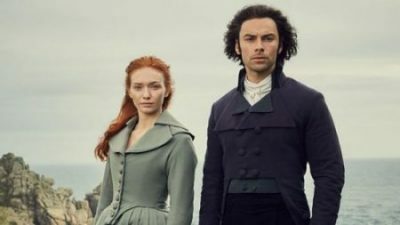 The BBC outlines that “following the death of Elizabeth” the fifth series will see “Ross Poldark (Aidan Turner) resolve to put Westminster behind him and spend more time with the people he loves. However, when an old friend emerges with a plea for help, Ross is compelled to challenge the establishment again. As the Enyses (Luke Norris and Gabriella Wilde) rally to join the cause, Demelza (Eleanor Tomlinson) must content with dangers close to home, while George (Jack Farthing) courts corrupt powers whose influence spans the Empire”. 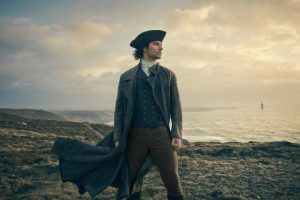 Karen Thrussel, executive producer for Mammoth adds “This will be the last series in the Poldark chronicle…for now. Who knows what the future may bring”.